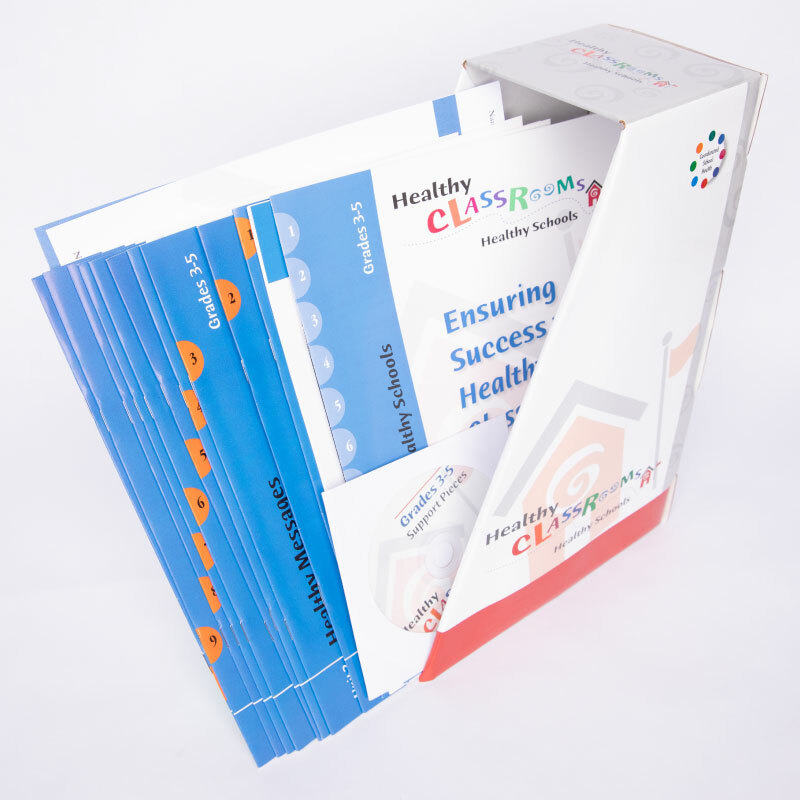 Healthy Classrooms, Healthy SchoolsTM includes 10 units that focus on making classrooms healthier places to learn. Topics include: MyPlate, school meals, healthy snacks, role modeling, fruits and vegetables, physical activity, healthy rewards, healthy celebrations, and proper hand washing. Each unit also includes activities, a FitBitTM physical activity break, and a healthy snack recipe. The program package includes eight booklets for grades K–2 or 10 booklets for grades 3–5 (one for each unit). 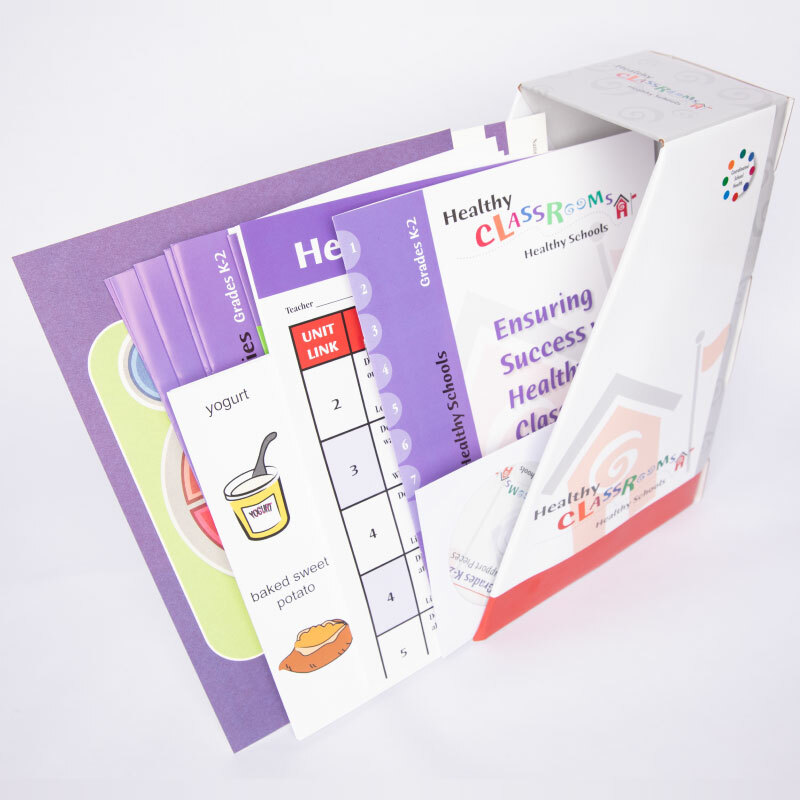 Also included: Ensuring Success user guide, set of snack cards, healthy classroom checklist, CD with resources to print, and 30 student folders.